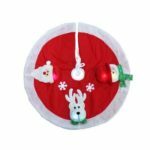 This Christmas tree skirt adds a warm look to the foot of your Christmas tree and provides a perfect place to set the gifts. 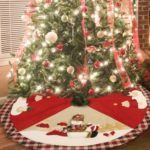 The adorable plaid pattern are perfect for Christmas! 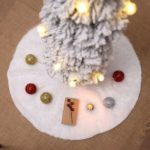 Add a warm look to the foot of your Christmas tree while hiding the tree stands. 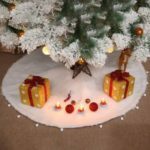 The Christmas figures looks cute and attractive. 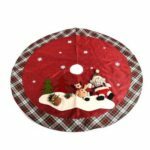 100 cm outer diameter provides a perfect place to set the gifts. 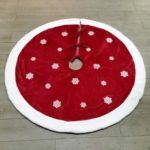 Suitable for home, hotels, shopping malls. Made of soft eco-friendly fabrics, safe to use.